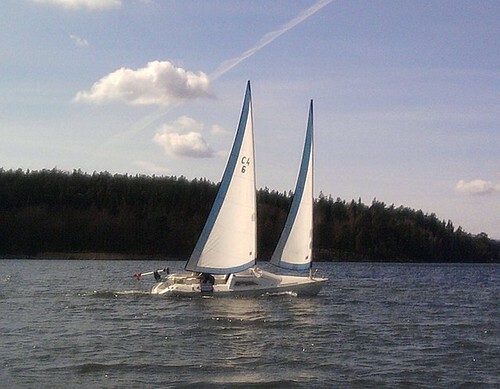 Now, after having launched in record time I just had to use the first day of Easter week-end for a short test sail. The weather was actually sunny and warm enough so I did not freeze once. It being a test sail, please don't comment on the fenders or the bad jib tension...the rigging wasn't really tuned in yet. And I wasn't alone either! This sailboat did make an early start as well. 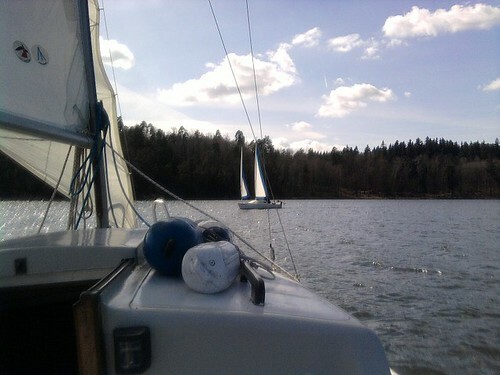 When we met the sailor shouted "where are all the others?" I tried to sail around the nearest island, as I often do, but this time i couldn't. 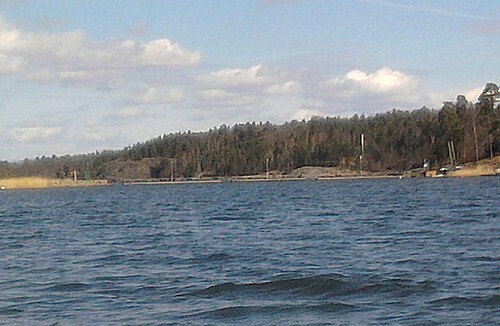 During the winter the little sound is blocked by a floating bridge and it had not been removed yet. So I am really early!